You are the current highest bidder! To be sure to win, log in for the live auction broadcast on 18 Aug 2018 10:00 BST or increase your max bid. 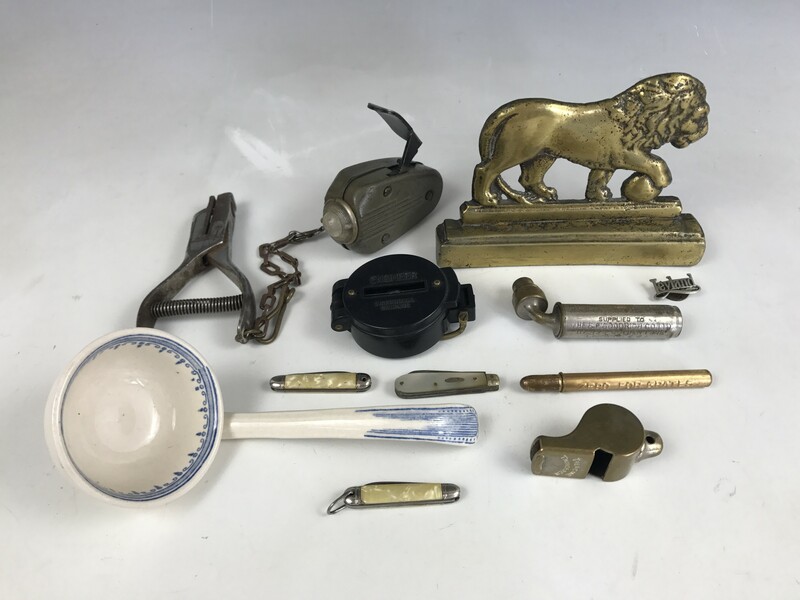 Collectors' items including a Brasso Metal Polish advertising pencil, a Schrader Universal Type pressure gauge, an Acme Thunderer pea whistle and a Victorian porcelain ladle etc.